In Spanish, habichuelas means “beans” and guisado means “stew”. This gives a clear idea of ​​what habichuelas guisadas are: a traditional Puerto Rican stew prepared with pinto beans, sofrito and meat. The principle of the stew is usually that of a mixture of meat, fresh vegetables and/or legumes is cooked in a sauce. 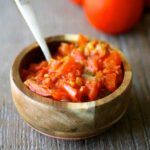 The sauce can be more or less liquid and therefore the dish can be more or less close to a soup. Some stews simmer for hours, others like habichuelas guisadas require a little less cooking time. 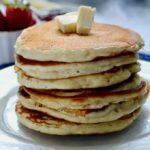 What are the habichuelas guisadas? The basis of the habichuelas guisadas recipe is sofrito, which is a chopped mixture of onion, garlic, bell peppers (green, yellow and red) and cilantro. It is truly one of the cornerstones of Puerto Rican cuisine. 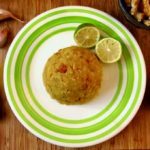 And if the recipe can vary from one cook to another, sofrito is unquestionably found in many Puerto Rican dishes (such as picadillo, arroz con gandules and many others). What is the origin of beans? Beans are native to Central and South America. There are traces of them between 7000 years and 6000 BC in Peru. Conquistadors like Christopher Columbus in Cuba, Oviedo in Santo Domingo and Nicaragua, and Cabeza de Vaca in Florida, discovered and helped to make them popular in Europe in the sixteenth century, then in Africa and Asia. There are thousands of varieties of beans depending on the regions and countries. In Latin America, beans are one of the staples, as they were in North America, for a very long time. In Europe, before the introduction of certain varieties of beans, people used black-eyed-peas or fava beans, for example. 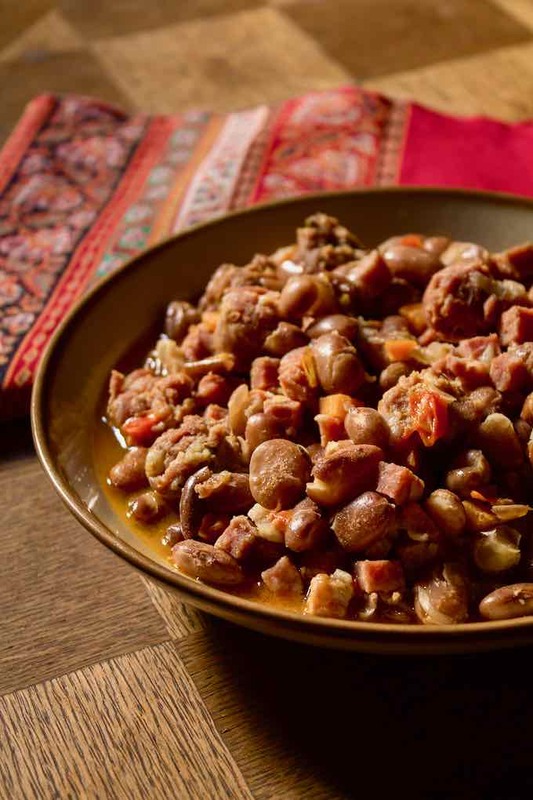 In this recipe of habichuelas guisadas, pinto beans are used. It is a rosy, pale beige bean, with red veins. 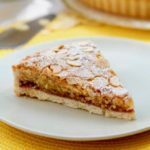 The rice, which accompanies this dish, was introduced in Central America, South America and the West Indies, by the Spanish and Portuguese settlers. What is the origin of habichuelas guisadas? It is quite difficult to be definitively certain on the origin of habichuelas guisadas. 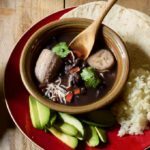 There are many traditional recipes for bean-based soups or stews around the world, especially in Central and South America. And so there are potentially many hypotheses that can serve as an original recipe for this type of dish. Especially since Puerto Rico is an archipelago with a mixed history. The Igneris, then the Arawaks and finally the Tainos ethnic groups were the original populations. Then Puerto Rico became a Spanish colony from the sixteenth century. Subsequently, African slaves were exploited there. 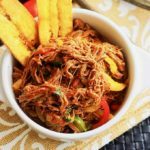 Puerto Rican cuisine is therefore the fruit of a great mix of cultures as in all the Caribbean. 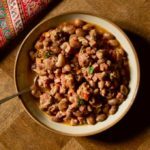 The origin of the dish could take us to Spain with their fabada asturiana, white beans cooked with pork and cold cuts and seasoned with spices. Or maybe also have us look at African dishes. 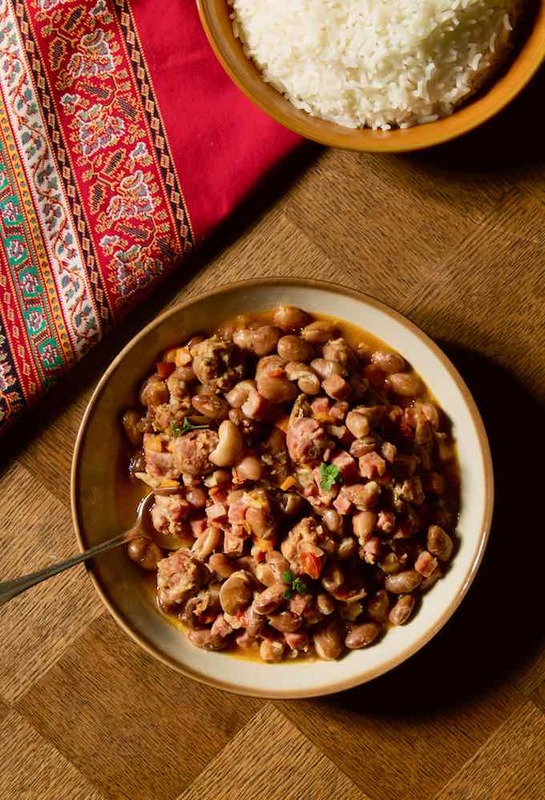 The first reference to the fabada dates from the 19th century and it is assumed that this recipe could itself be an adaptation of the French cassoulet recipe, which is much older. 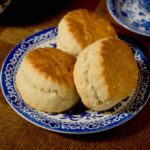 In the early 19th century, Creole cookbooks also started mentioning New Orleans beans and rice. Habichuelas guisadas are part of a great culinary tradition shared throughout the world. Especially in the Americas and Caribbean, that of beans and rice, with or without meat! 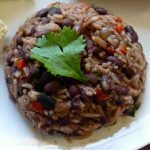 These include Moros y Cristianos de Cuba, Costa Rica’s gallo pinto, pabellón criollo from Venezuela, but also paella Valenciana from Spain, Texan chili con carne, New Orleans beans and rice, Korean kongbap, waakye from Ghana or the famous Portuguese feijoada that also became a popular dish in Brazil, just to name a few. 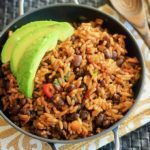 Arroz con gandules and arroz junto, which are also Puerto Rican dishes, are made with pigeon peas or beans, rice and meat. 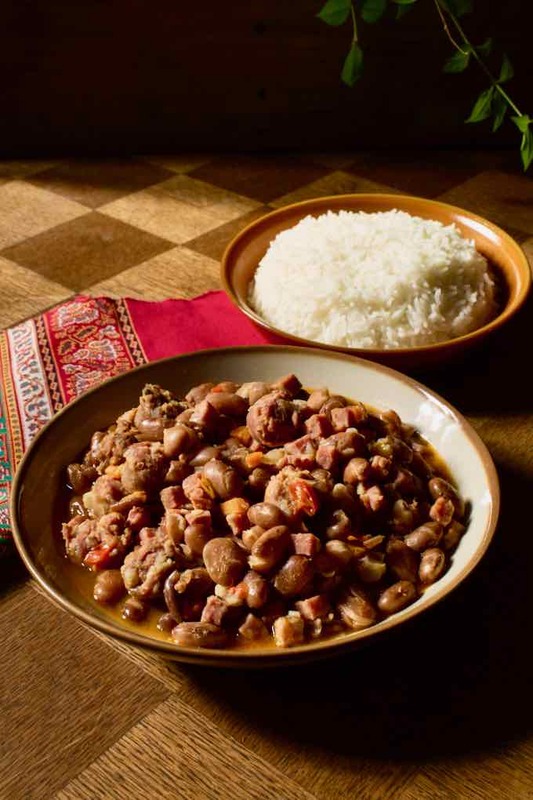 The difference with habichuelas guisadas is that the rice is cooked in the same pot as the legumes and the meat. 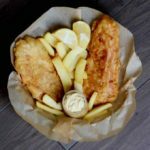 There are variations based on the choice of legume and meat. However, the use of a sofrito is never an option. A version of habichuelas guisadas from the Dominican Republic also bears the same name. 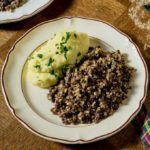 What is certain is that this dish is an excellent source of protein! On the one hand sausages and ham, but also on the combination of rice and beans, which together form a complete protein. The habichuelas guisadas are therefore a meal that is body and very energetic. And quite comforting! Habichuelas guisadas are a delicious traditional Puerto Rican stew made with pinto beans, pork and sofrito. Mix all the ingredients in the bowl of a blender. Mix well until obtaining a thick consistency (not too liquid). Wash the beans thoroughly under cold water. Drain them. Soak the beans in a large bowl, covered with water, for 12 hours. After 12 hours of soaking, drain the beans in a large saucepan, and cover with 3 times their volume of water. Bring to a boil over high heat then reduce the heat to simmering. Cook for 45 minutes. In case it takes longer, add boiling water during cooking if necessary. Stir occasionally. Pinto beans are ready when you can easily crush them with a fork. Drain. In a large pot, heat the oil over medium heat. Add the sofrito, garlic, ham, sausages and peppers and fry for 10 minutes, stirring regularly. Add the carrots and mix with all the ingredients. Add the beans and the remaining ingredients. Cover with water and bring to a boil. Cook for 5 minutes uncovered and over high heat, stirring gently and regularly. Reduce the heat and cook covered over medium heat for 20 minutes, stirring gently.